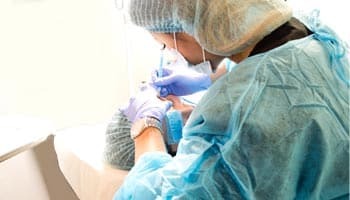 Microblading Training Orange County, CA. Our microblading training courses feature the best instructors in the microblading and permanent makeup industry. Our state of the art facility and curriculum are both designed to give you the best learning experience possible. We believe that small class sizes and one-on-one instruction is critical to a quality education. Watch our video and take a virtual tour of our facility. You won’t be disappointed with what we have to offer. Our Top Graduates Earn Up To Six Figures Per Year! Our top microblading and permanent makeup graduates make up to 6 figures per year. 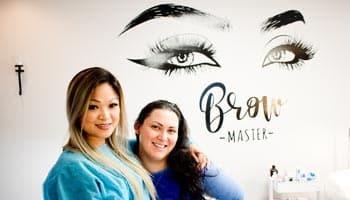 We teach our students how to network and advertise their microblading services to the world. At Fox Microblading & Permanent Makeup Academy we pride ourselves on giving our students the best education possible. We go above and beyond the call of service for our students. Our classes provide the most hands on training than any other Microblading Certification Course in California. Our facility and curriculum exceed state and county health regulations. In fact, our courses teach you how to get your county health permits for you and your facility. We provide lifetime support so that you can go on to be successful in your new career. After taking our training course, you will be confident in practicing the art of Microblading with new clients. If you do not feel confident in working with clients after taking our microblading courses, you can re-take the course again FOR FREE! We also have an apprenticeship program for our graduates so that you practice with new clients and live models. You can also take advantage of receiving lifetime support and large discounts on future courses by Fox Microblading Academy.